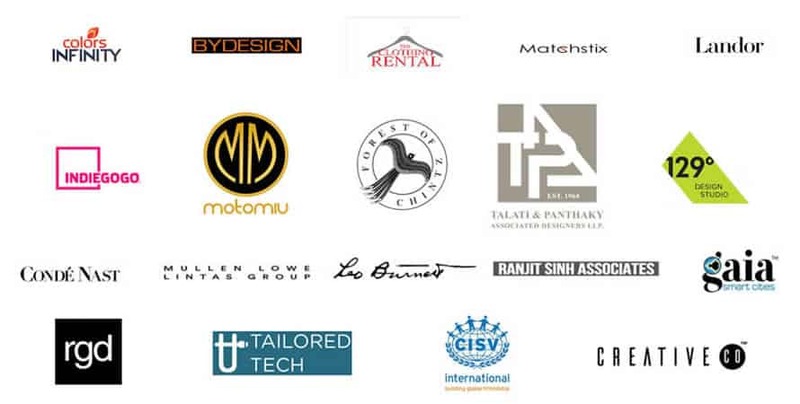 40+ Companies, 100+ Students & 200+ Jobs! Every summer opens up a world of experience for our students each year. 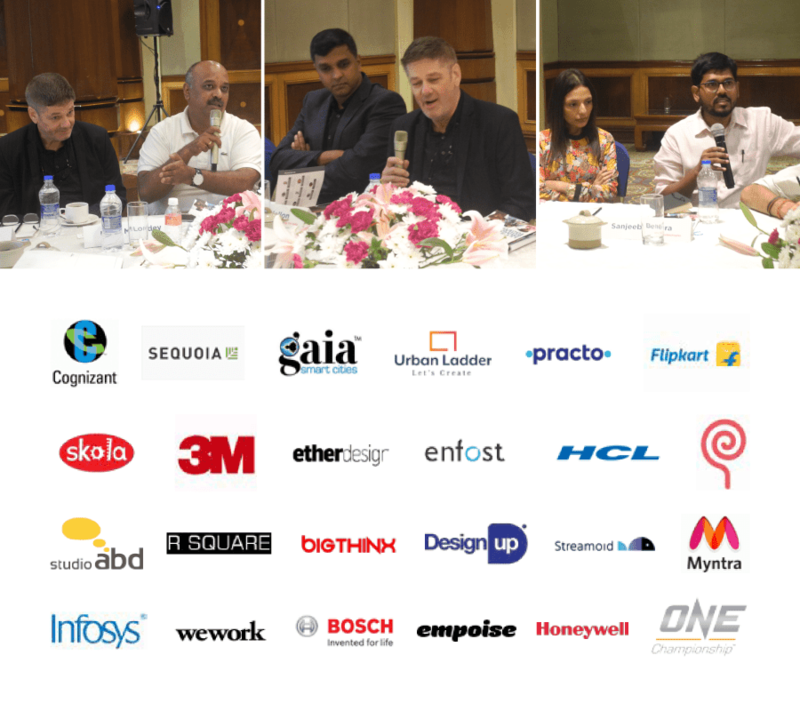 ISDI Round Table Conference was held on campus where eminent industry guests were invited to further ISDI’s vision of bridging the industry-academia gap. 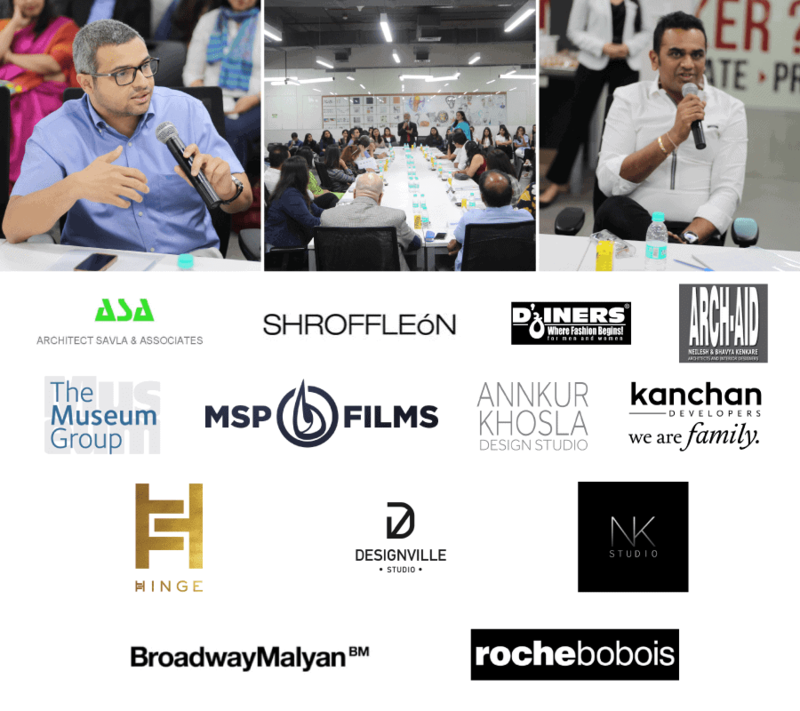 The conference touched upon topics like the roles & opportunities available in the industry, the skills & knowledge required, the challenges & gaps faced, the scope for adding more value and substance to the curriculum. 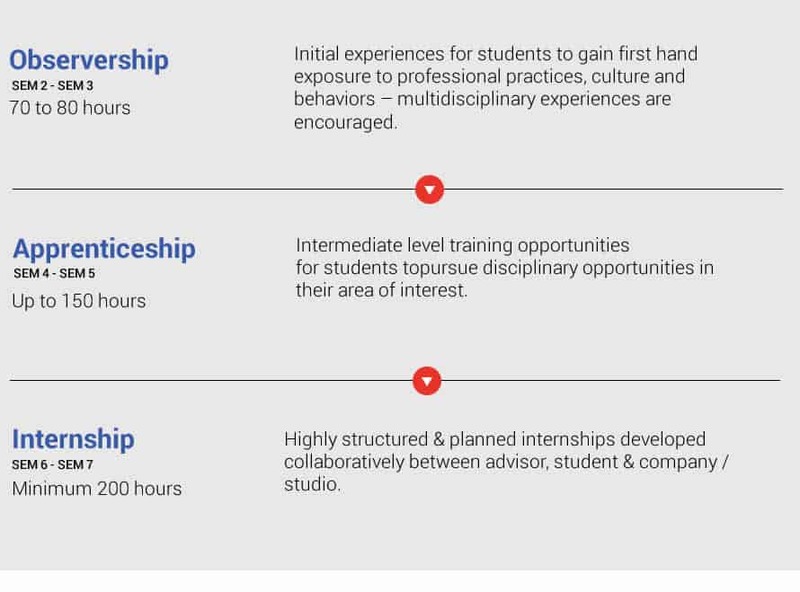 The inverted T model was recommended where students should be introduced to broader disciplines but encouraged to skill in the specialization of their choice. With the accessibility to more technologically enable tools an individual’s problem solving capabilities are growing. One should also design for the environment, for the usually missed out contexts (like rural markets) and design should also be for self (designer), design should interest the designer and he/she should enjoy and appreciate the design process. Fundamentals of Design are best explained by these artefacts and this is the reason design schools encourage students to not just ideate but also make and create physical objects. The students need to step back and challenge some of the fundamental deep rooted assumptions to arrive at new paradigms first and then generate ideas within these new paradigms. They should therefore demonstrate a lot of interests and empathy towards understanding the social problems through in-depth design research. Co-creation through Collaboration will lead to disruptive and feasible ideas, will accelerate the prototyping time and will also promote cross-functional team working. 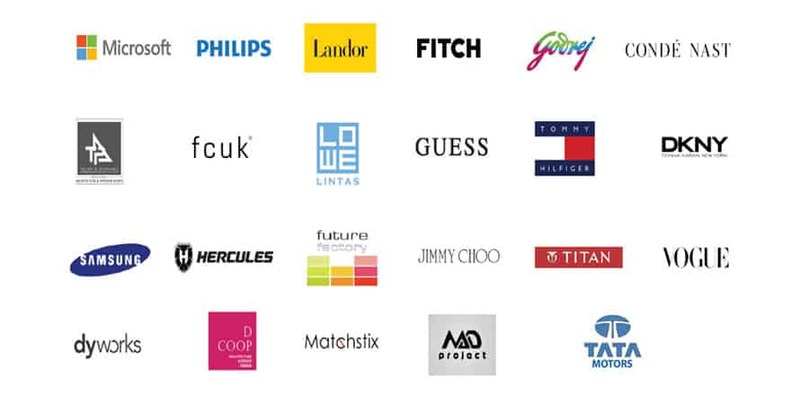 Culture has a strong connect with consumer behaviour and consumer needs which drive design. There is a thus need to reinforce the design curriculum with the cultural aspects at the core. “Good Design is Good Business”, whether it’s a product, service, brand identity or a business model solution the design should not just create value to the customer but also to the business. It is therefore important for designers to understand the strategic importance of their ideas. “Young millennials are snacking on careers”. It is thus important for institutes and academic mentors to help the individuals make the right career choice, something that gives them JOY in doing. 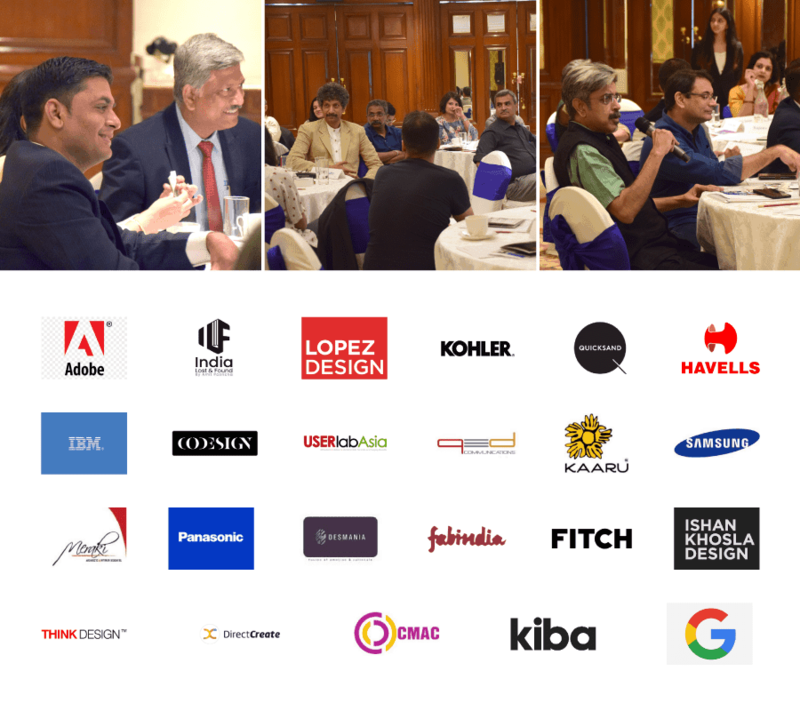 The first disciplinary [Communication Design] round table conference in the series of four began on 9th December at 11:00am and to our fortune all the invitees showed up and appreciated the display of portfolios and gave us wonderful advice. We are thankful to each and everyone of them. Ideas are the currency we all deal in and how we execute them is a very critical aspect. Answering a student’s question, one of the delegates stated that we must chase what we really connect with and find our calling. 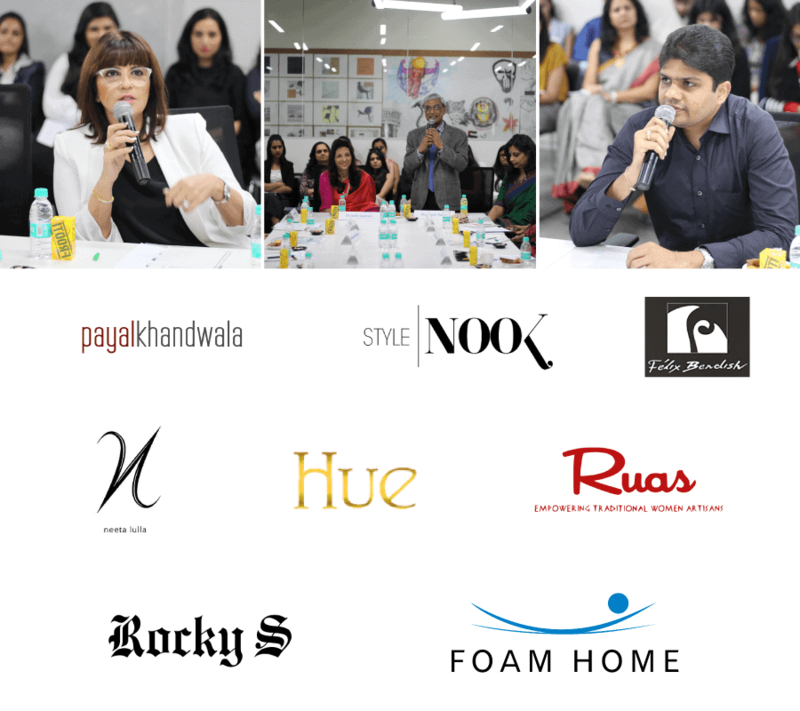 The second discipline-centric (Interior Design) round table conference in the series of four was held on 13th December at 2.00p.m. To our fortune most invitees showed up and appreciated the display of the work of the 2nd & 3rd year students as well as the thesis presentation of the 4th year students. We are thankful to each one of them. All good design should be a celebration by the end of the day. Just don’t only focus on selling the idea or concept, but enjoy the process. Follow your dream, enjoy your work, put your 100% into practicing it and work towards it passionately. Giving us a reality check, one of the speakers stressed upon working towards the projects in a real world context. Other speakers advised working strongly on 2D analogue drawings and sketches, materials, form & space, budgets, etc. Academics is the beginning, where the students learn to dream, be imaginative, but working with industry will serve you as a foundation where collaboration plays a major role. The third discipline-centric (Fashion Design) round table conference in the series of four was held on 14th December at 2.40 p.m. 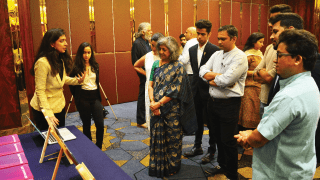 It was a good mix of eminent designers and young start-ups who appreciated the display of the work of the Sophomore and Junior year and the portfolios of the Senior year. We are thankful to each one of them. Giving us a reality check, one of the delegates stressed upon the importance of having the right attitude on entering the industry. Also, students were advised to be authentic. Interesting parallels were also drawn between marketing and branding and the importance of effective brand communication was stressed. On the question of “what is Fashion according to you?”, the speakers had some really interesting insights. While one speaker claimed that Fashion is a combination of science and art, another claimed that fashion can only be what you bring to it. Fashion is your voice. Your work must be a reflection of your values. 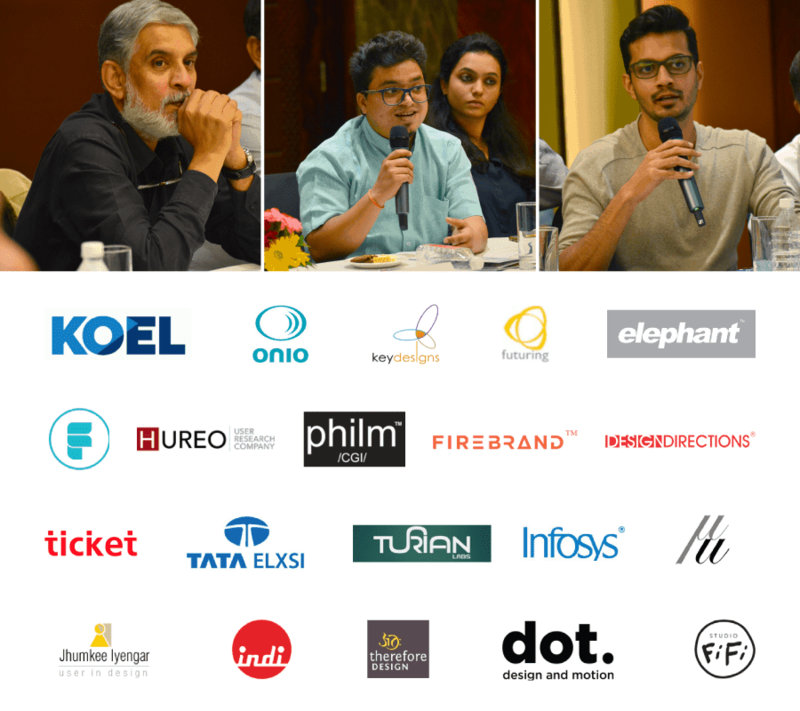 The fourth and the last discipline- centric (Product Design) round table conference in the series of four was held on 15th December at 2.00 p.m. It was an amazing conference with maximum number of delegates. The delegates present went through the display of the work of the Sophomore, Junior year and the portfolios of the Senior year. We are thankful to each one of them. 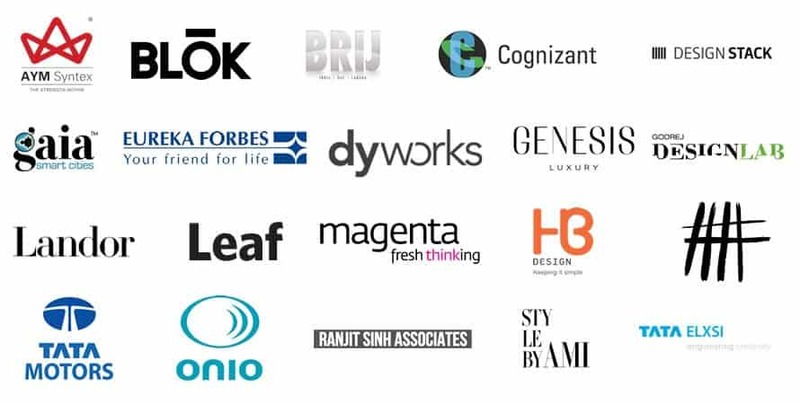 Mid-size companies should be considered as good options for placements but designers have a responsibility to convince businesses, the value of design. In portfolios, passion was considered an important trait, clarity of what is being presented, process and thinking. Knowing one’s strengths and what one wants to do, is critical. This helps in understanding the journey ahead. Look into past and learn. Multi-disciplinary collaboration to be encouraged. 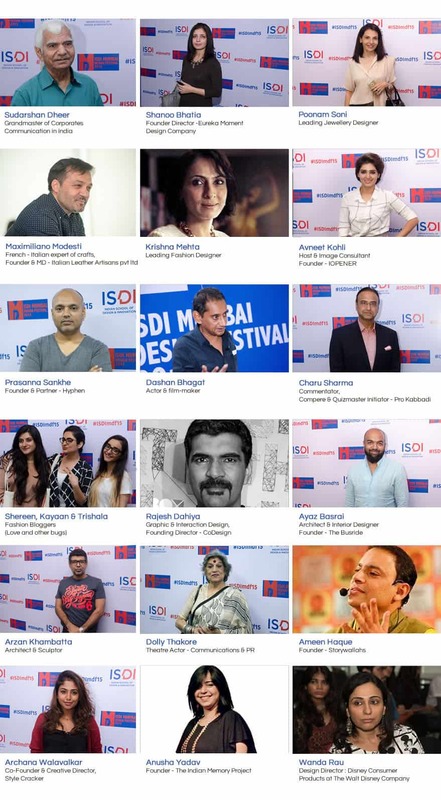 The inaugural season of ISDI Mumbai Design festival was the biggest celebration of Design & Creativity in the city of Mumbai. The festival celebrates Indian design in all its forms and extracts and promote the city’s creativity, drawing in the country’s greatest thinkers, practitioners, retailers and educators to a deliver an unmissable celebration of design. Theme of the inaugural season was Being Glocal. 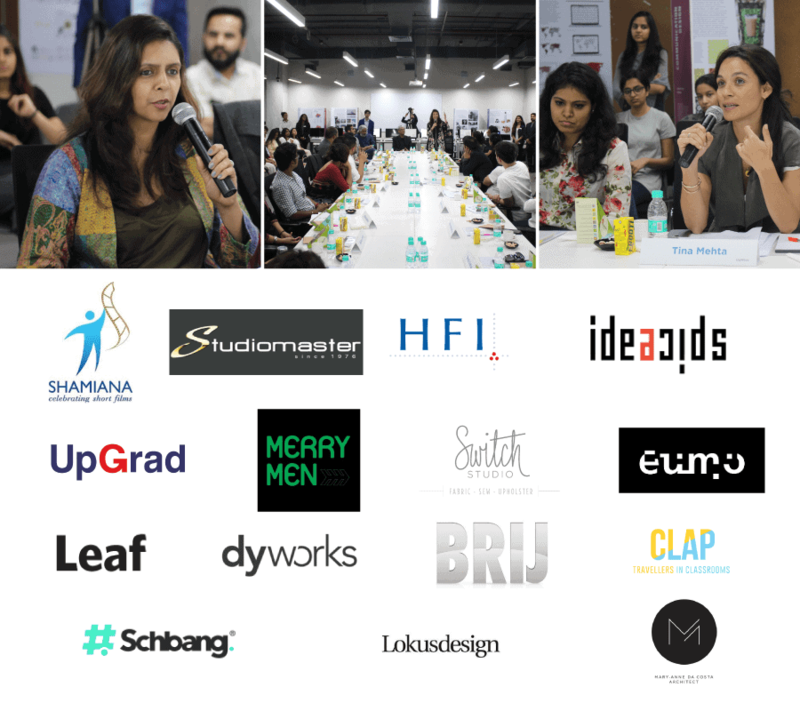 With 25 celebrated speakers from all over the country, the festival drew over 700 artists, designers, architects, photographers, film-makers, technologists, scholars, strategists, design-thinkers, entrepreneurs, business professionals, students and makers. It was a great opportunity for the Product Design 3rd year students to interact with alum of the first batch. Akshit discussed his journey so far at college, Internship and now at Philips. 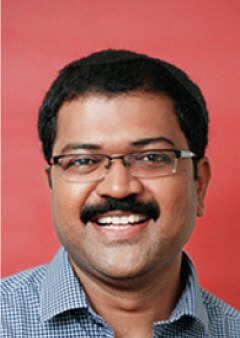 He has completed his 2 months at Philips Bangalore as User Experience Designer. Importance of the portfolio. How soon the students should start building up their portfolio. The students should send their applications to as many places as possible and not to wait for the response to come from one firm. It is good to apply at European market. There are lot of requirements. The opportunities are immense but the right fit is what matters. What are the different softwares used at Philips. Solidwork & Rhino are taught in school while Creo is an additional software used at Philips. The work culture is different working at a studio and a firm. Importance of timelines in the industry. Collaborative working with Engineers and other colleagues in the firm. Every student must work on as many projects as possible. Must participate in Live projects coming to the college. UI is much in demand. Students should be ready to take up. 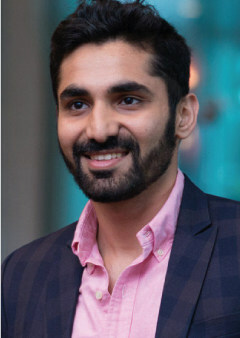 Dhwani Pahaljani, Fashion Design student – ISDI was among top seven emerging Fashion Designers in India’s biggest Fashion Designer Hunt, Sketch To Store mentored by leading Indian Fashion Designer, Sabyasachi Mukherjee. Kirthiga Reddy, Facebook India’s Chief launches the LPID (Lower Parel Innovation District) facebook page. Issam Bachlaani was the Chief Guest for ISME’s Accepted Students day on 23rd May 2016 where the journey of ISME was unfolded and the faculty was introduced to parents, students and guests. Paul Gardien, Vice President of Philips Design and a member of the Philips Design Board visited our campus to talk to our First Year students. He is responsible for the Business Process Management (BPM) process of Philips Design, encompassing Strategic Planning, Performance Management and Business Improvement to ensure the contribution of all organizational functions to the achievement of Philips Design objectives, vision & mission. Manish Malhotra, a visionary & one of the most successful designers in Bollywood visits ISDI to nurture & guide our aspiring young fashion designers. India’s most commercially successful architect, Hafeez Contractor who has changed Mumbai’s skyline spoke about Glocal Architecture at the ISDI Mumbai Design Festival 2015. Raghavendra Rathore, Fashion Designer & Entrepreneur, also an alumnus of the esteemed Parsons School of Design – A man of many talents. He talks about how business acumen, multifaceted skill and the ability to absorb information like a sponge are desired qualities for a career in this Fashion Industry on Accepted Students Day 2016. ISDI was privileged to welcome Cognizant, a global leader in business and design technology services to our campus. 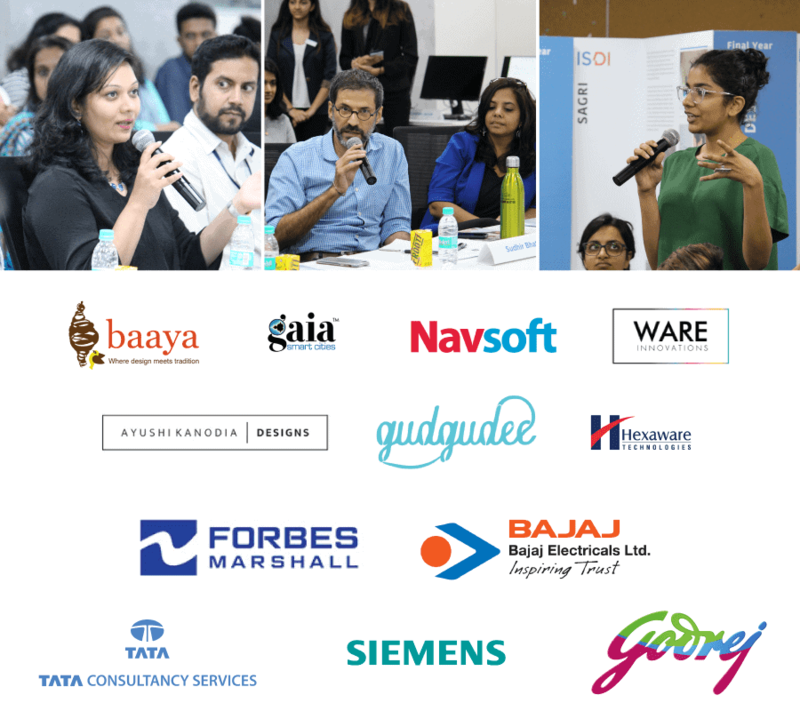 Members from Senior Design Leadership Team shared their experiences with our students, as designers who are leading change in one of India’s largest technology companies. Pradeep Nair – Managing Director – India & SAARC at Autodesk India visits ISDI to interact with our students. 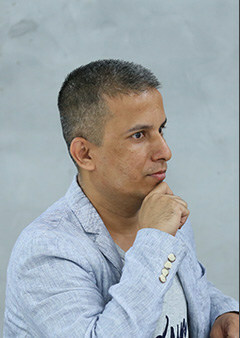 Mr. Nair is responsible for the overall strategy and growth of Autodesk’s business across India and SAARC region, covering all of its industries and product segments. He builds strategic partnerships across the region and also be a key focus area at Autodesk. 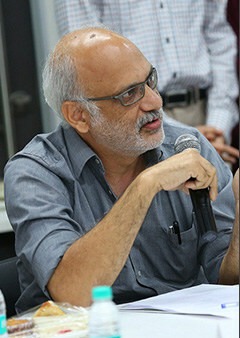 Satish Gokhale, Director – Design Directions reflected upon interesting aspects of his motivation for creative work. He talks about the Product Development Process on Accepted Students Day to hundreds of aspiring designers at ISDI. ISDI greeted Mr Jean Cassegrain, CEO – Longchamp to our campus to celebrate the launch of Longchamp in India. French luxury House Longchamp was founded in Paris in 1948 by Jean Cassegrain, is still owned and run by the Cassegrain family today. Longchamp is an international brand that has maintained momentum and energy across the decades. It epitomises French flair, fresh and inspiring creativity. Refreshing advertising campaigns and exciting collaborations with artists underline the contemporary and sometimes playful spirit of Longchamp, which owns more than 252 exclusive boutiques worldwide. 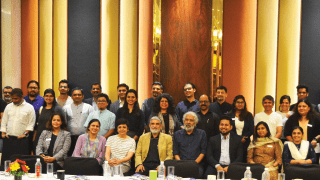 ISDI ACE, India’s first Innovation Accelerator for Creative Entrepreneurs along with the Indian Angel Network conducted a Hands On Workshop on Making Your StartUp Investor ready. 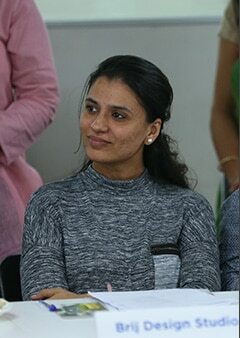 Speaker Padmaja Ruparel, Co-founder & President of I.A.N provided productive pointers to budding entrepreneurs. From commissioning fashion stories, to presenting fashion forecasts, decoding international trends, to providing the latest in fashion news, reviews and stories for Indian reader. 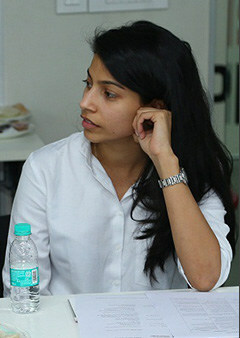 Bandana Tewari, Head – Fashion Features Department at VOGUE India spoke about the unconventional, disruptive thinking in Fashion at the ISDI Mumbai Design Festival 2015. Students receive valuable advice and counsel by Mr. Jashish Kambli, executive partner of Future Factory. He spoke about the business of design and the importance of knowing the basics of management, marketing and economics to design better and design for all. Giving instances he explained how even a good design can fail because of weak or weird marketing strategy. He also emphasized on creating an impact through design and its importance in innovation or even an incremental change in existing designs. 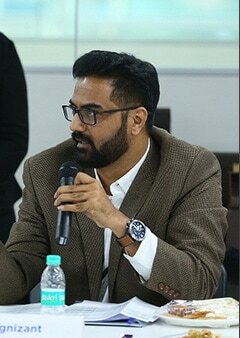 Kurnal Rawat, Creative Director, Landor gave the students a general overview of the company while also talking about brand consulting and Design at ISDI. Communication Design students presented their portfolios to Kurnal at the end of the session to acquire summer internships. 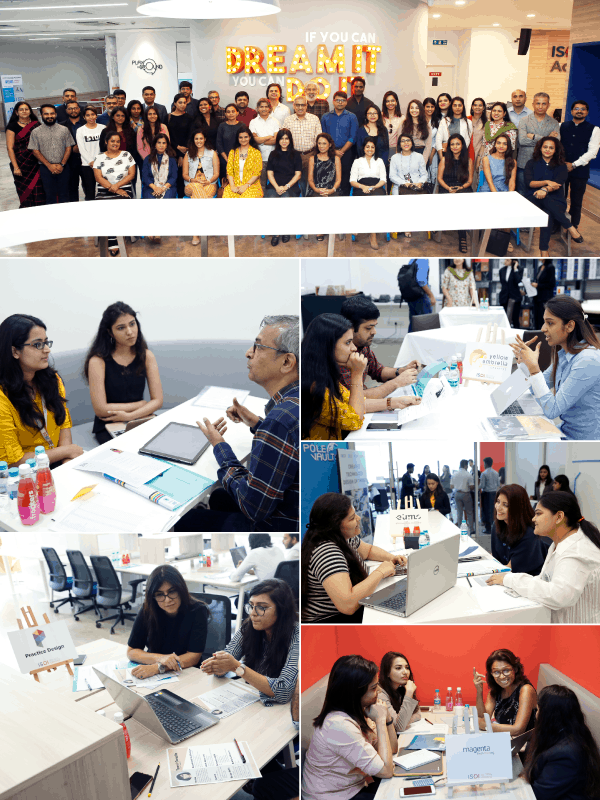 Students entering the portals of ISDI and being motivated by Sandeep Mukherjee, Managing Director – Quetzel, Sonal Dabral, Chairman & Chief Creative Office – DDB Mudra Group and Hemant Suthar, Founder – Fractal ink. Shivan and Narresh highlighted points on their lifestyle swimwear brand focusing more on what women wear after their wedding. Students were given inputs on communication, illustration and target market. Anuj Sharma gave contemporary directions to over 100 fashion enthusiasts at ISDI for a fashion styling workshop. 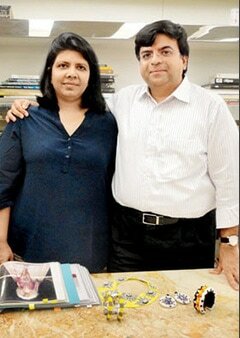 “Thank you so much for creating such a world-class design school, making us really proud indeed. ISDI has a clear leadership position in Mumbai, we should use this opportunity and time best possible way”. “It’s great to see the academicians taking so much of effort to understand the industry demands, their expectations from their future employees, means a lot. It gives us immense pleasure to announce that the following students have been accepted as interns at organisations of great repute-domestically and internationally. We congratulate them and wish them well in the hope that they will capitalize on this opportunity and foster their capabilities.